My version of a ring toy pattern I saw a while ago. 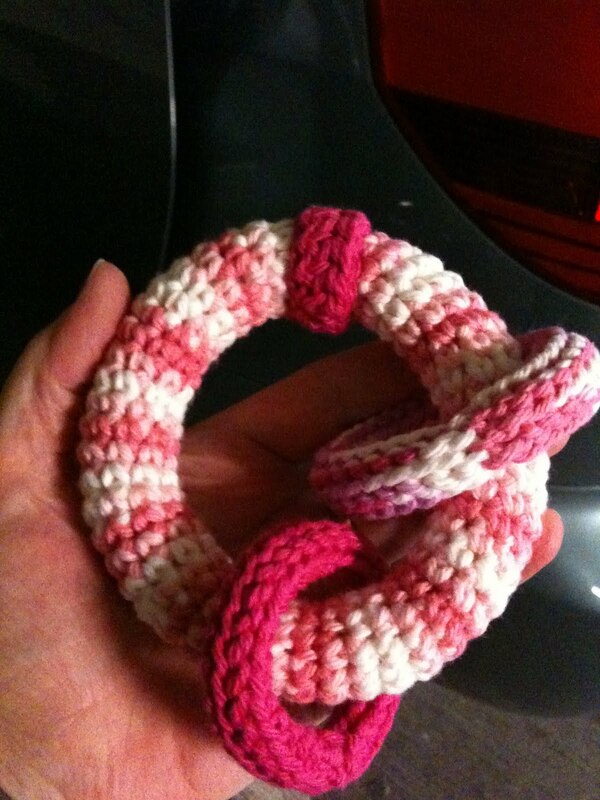 Just make tubes by crocheting in a round, and around and around.....and around. Stuff them and join the ends! It's cotton and cuddly! I'm sure it will be good chewin' and it's a gift for a friend's new baby girl, Finleigh. Adorable! And, I love the name Finleigh. We had a Finleigh in our swimming class long ago... so sweet.